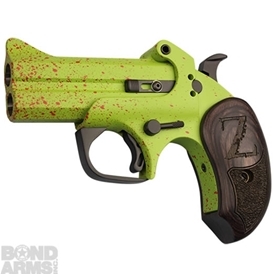 The Bond Arms Blackjack is a very special edition gun! 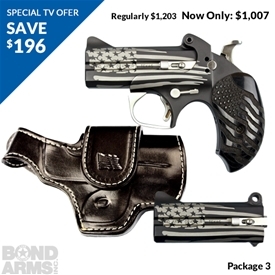 An entirely crisp black gun with a touch of pizzazz with a silver spade above the hinge. 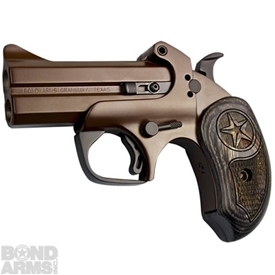 It comes with a 3.5" barrel in a .45/.410 caliber and fascinating extended black ash grips with a spade on each side. 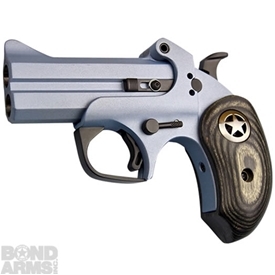 An amazing gun to double down on.